Nonviolent revolution followed by peaceful coup d'etat !!!! I don't think Isayas watches or allows TV around him..for some reason I don't think he does. TV is for thse whose lives are spend by what others choose for them to watch. He has/is making history for others to watch. If there is something important on TV or Print there are people who will run out of breathe to tell him. Last edited by Axumawi on 13 Apr 2019, 23:35, edited 1 time in total. Outlandish claim For your information ኤሱ is an Avid Listener and watcher of ATV /Radio. I can't think of Isayas being hanged up side down like Mussolini, running away to his Arab lords...or something like that. A man who led his people in what seemed impossible to achieve...is now being thretened. Time heals, and time wounds. 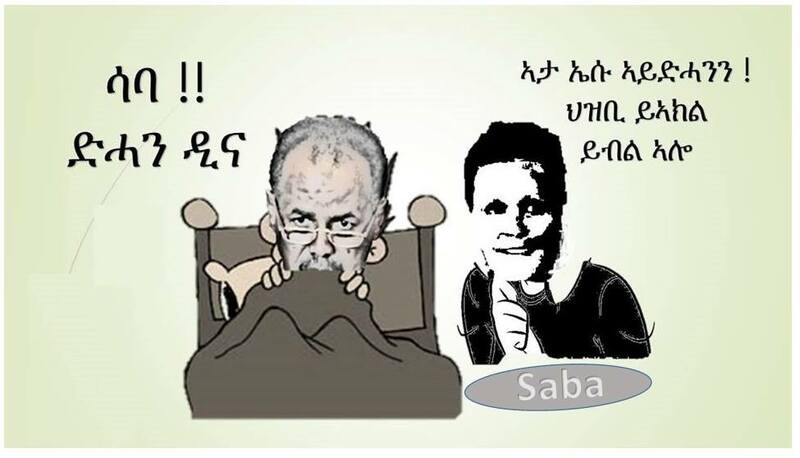 I understand there are a lot of Eritreans wounded, but becareful what you wish for. He is human and is inevitable will go one way or another. But its better if done in organized and as much as possible peaceful. Its very scary to think what can happen. Any society that has been bottled up for so long is hard to control and manage. Even personal vendetta and pay back among individuals can take a different turn for the country. C Beyond and Almaze: Change is coming! See Beyond and Almaze, change is coming to Eritrea if and when you can remotely turn on the TVs in Eritrea.